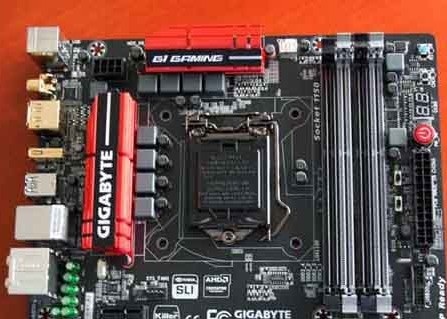 Teaser pictures of Gigabyt's G1.Gaming Z97 motherboards also hit the web, you can check them out at TPU. The board features most of the stuff you've come to expect from "gaming" grade motherboards. To begin with, its draws power from a combination of 24-pin ATX and 8-pin EPS power connectors, and uses an 8-phase VRM to condition power to the CPU. The CPU is wired to four DDR3 DIMM slots, supporting up to 64 GB of dual-channel DDR3 memory; and two PCI-Express 3.0 x16 slots (electrical x8/x8 when both are populated). Three PCI-Express 2.0 x1, and two legacy PCI make for the rest of its expansion area.